Enter Ryudo, a young Geohound forced to live the life of a mercenary due to the persecution of his people, most of which act as savages. While trying to scrape together a living with his best friend, Skye, Ryudo soon finds himself wrapped up in a job that he didn't bargain for by serving as bodyguard to Elena, a Songstress of the Church of Granas. While performing a purifying ceremony in the Tower of Valmar to reinforce the Seal of Granas, the ceremony is interrupted and fails, and Valmar's Wings take possession of Elena's soul, binding to her very being. Things will never be quite so simple of course. Ryudo learns compassion along the way, and finds new menaces to protect Elena from, including Elena herself, in the form of her new persona, Millenia, the embodiment of Wings of Valmar. His compassion soon begins to join with his bravery, as he takes up his sword to the cause of defending Silesia from the corruption of Valmar. 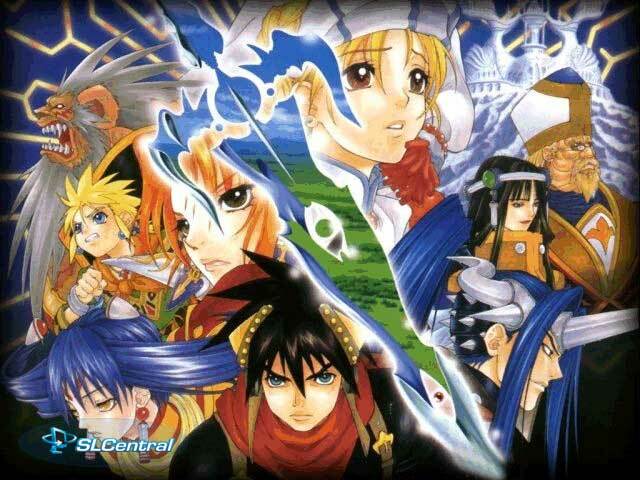 Grandia II's plot isn't quite as, erm, grandiose as the original's. Whereas the first game gave a wonderful sense of wanderlust and adventure, the second game is more about urgency, as Ryudo and Elena are almost always running from one place to another, assisting with a new cause or working to hold back Valmar's hold on Elena. The plot doesn't have anywhere near the depth of, say, Xenogears, but it's probably about the same level as Lunar, with a more serious tone. 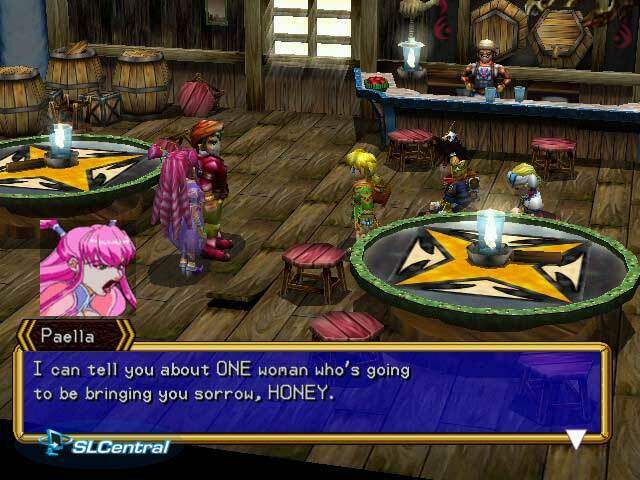 The best item to consider about Grandia II's plot and character development is a set of scenes that you'll get when staying overnight at an inn, or at various other points in the story. All the characters in your party will hold a palaver, and you can talk to them in whatever order you wish, in order to get the story from each character's perspective, and to build relationships between each of them. 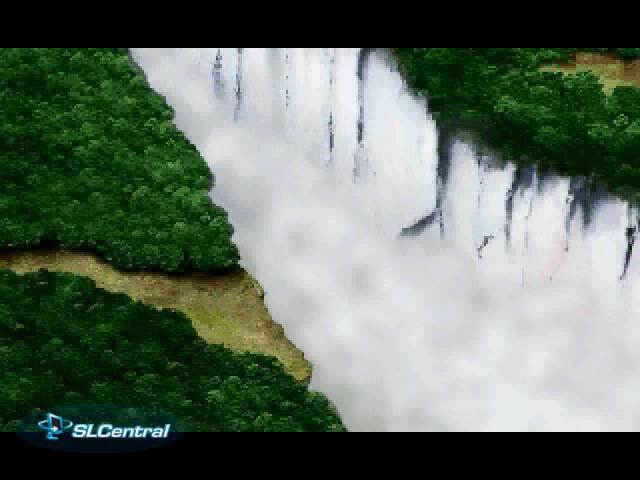 There aren't a lot of cutscenes to watch, however - Grandia II mostly uses the in-game engine to render all the story development and character development, and uses the FMV for spellcasting effects. It works great on the Dreamcast, but the PC effect is a bit less...desireable. We'll discuss that later. There's not a whole lot to discuss here, I'm afraid. 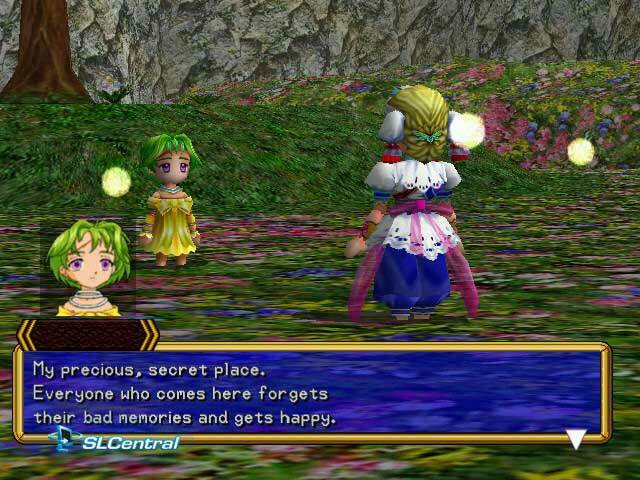 Most console RPGs tend to put the story ahead of the game, and as a result, unless there's something particularly innovative or unique in a battle engine or character building system, there's conversations, exploring and fighting. 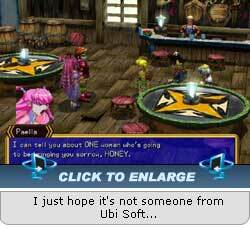 You'll do a fair amount of fighting in Grandia II, of course, but that doesn't mean it has to be tedious. 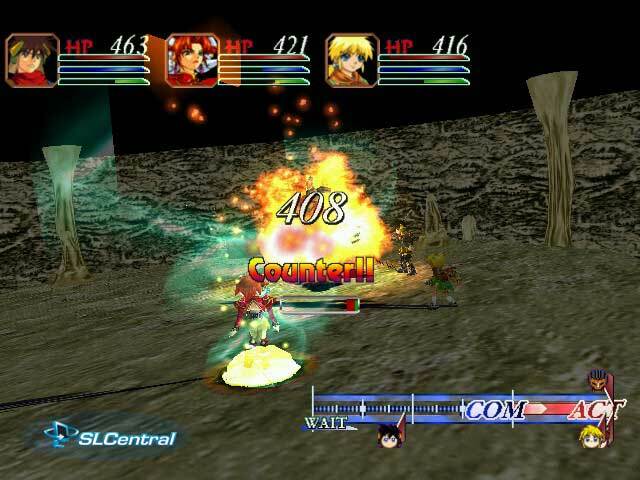 Similarly to most newer console RPGs, Grandia II uses a pseudo-real-time battling system. You have unlimited time to select your commands and weigh your options, but each of them takes a varying amount of time. Both you and your enemies have varying preparation and execution times, so it's perfectly normal to have a battle where your opponent gets two turns to every one of Mareg's, or Milennia gets three to every one of one of the bad guys. 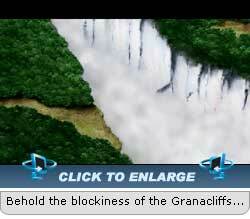 The real flavor of the battle system lies in the Cancel/Counter system. 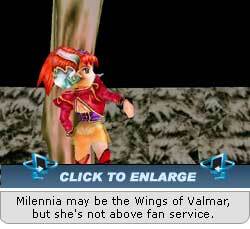 In Grandia II, timing is everything. For physical attacks, you have two primary options - Combo, and Critical. 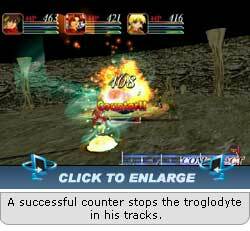 Combo attacks generally get two or more hits in per attack, whereas a Critical is a single, stronger attack. All successful attacks reduce the battle readiness of the target, forcing him to take longer to execute a command or come to turn. A Critical, however, if executed between a target's command selection and execution points, will cause a severe drop in the enemy's readiness. 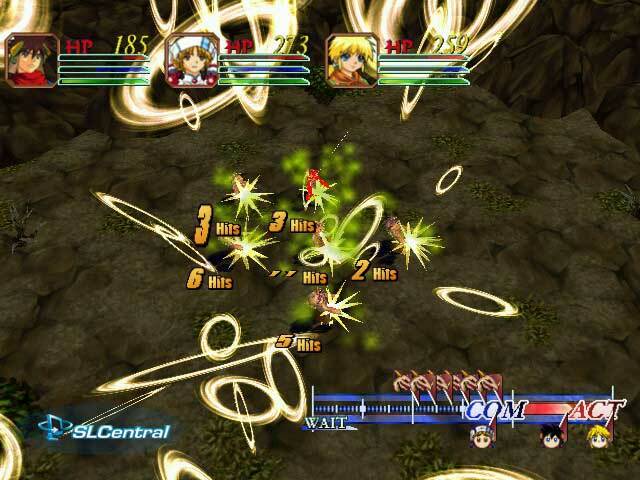 Counters occur when one fighter strikes another in the middle of an attack, causing the attack to stop. 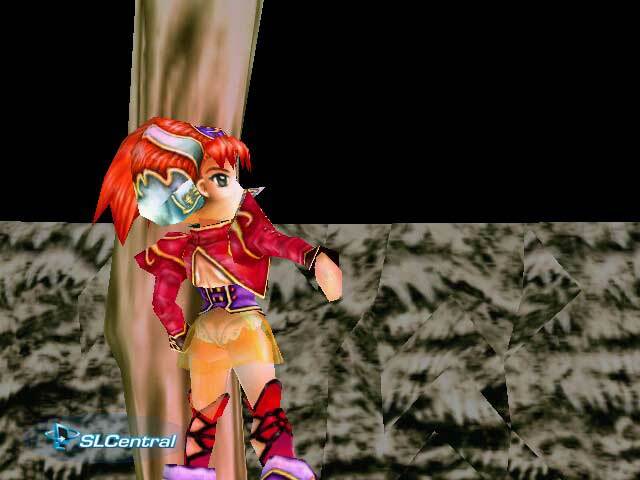 Correctly gauging the timing of your attacks and spells is critical in Grandia II, as it can help you survive battles without taking damage, and allow you to take on even the strongest of bosses without having to blink an eye. Furthermore, spellcasting takes a long amount of charge time, and defending your allies from attacks will ensure that the spell gets cast. If your teammate's time marker gets knocked past the command point, you'll have to start all over again. Winning battles results in the usual monetary award, since, as in most RPGs, monsters apparently carry money around with them. In addition, you'll also earn Magic and Skill coins. Each can be used to purchase weapon techniques unique to each character, as well as magic spells contained within Mana Eggs, and skills/techniques contained in Skill Books. The ability to juggle these around between characters means that you can prepare your characters as you see fit, and assign strengths to shore up weaknesses in characters. For instance, if Roan's taking too much damage in battle, you might consider buying the HP upgrade option in your Adventure book, and assigning it to him, giving him an increase to his HP maximum. Item management works pretty well, though I mostly bring it up to mention that shopkeeping is both simple and unnecessarily complex. I like that you can choose to purchase single or multiple consumable items at once, but for equippable items like armor, there's a special Equip command which arms you with the new item and places the old one in your inventory. Unfortunately, you can't sell equipment that you're currently equipping, which means that if cash supplies are tight and you can afford an armor upgrade only after selling what you're wearing, you have to take some unnecessary extra steps to get from Point A to Point B. The only game I've seen to intelligently manage shopkeeping like this is Earthbound, ironically enough. 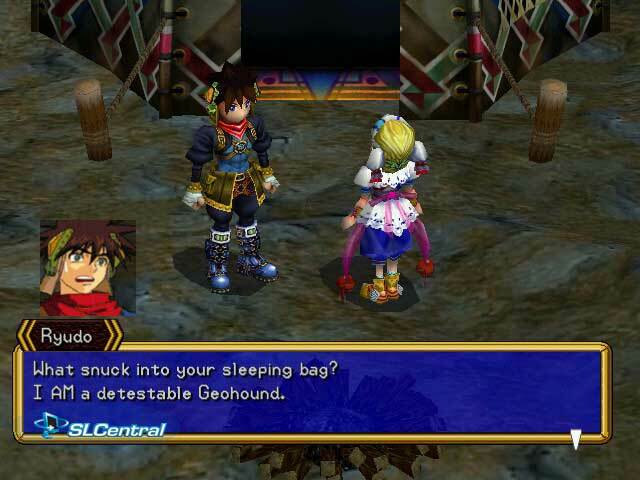 Grandia II could also use an "Outfitting" command, like what Final Fantasy Tactics offers. When it comes to exploring, Grandia II doesn't give you a lot of flexibility on the overworld map, using a point-to-point travel system. When you're in a particular area, however, you can freely rotate the area using the L and R pads (or whatever you mapped those to on your keyboard). Using these is a must, as you'll often miss treasures and get sneaked up on by critters if you're not paying attention to your surroundings. Enemies are visible, and will seek you out. Sneak up on them, and you'll get a jump on your readiness time in battle. The opposite works too, so don't let them get the drop on you. 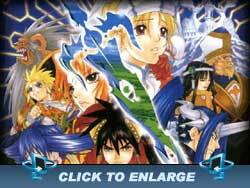 The best thing I can really say is that if you've got a Dreamcast, then by all means, buy this game. For the Dreamcast. Don't waste your time with the PC port when you can get something much better, unless you can't find the PC port and you have a 2 GHz gaming PC lying around. From what I hear, the Playstation 2 port didn't fare a whole lot better in the graphics department, so really, that's where your choices lie. To be honest, I'm quite disappointed. 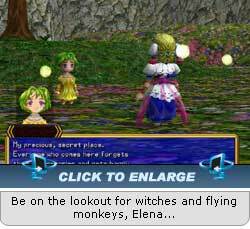 It makes me wonder if perhaps this is the reason why the Lunar PC port was canned by Working Designs (though that was a 2D game, but I digress). I have no qualms with Game Arts whatsoever, but I really wish they'd have farmed out the port to someone else more familiar with the platform. Better luck next time.